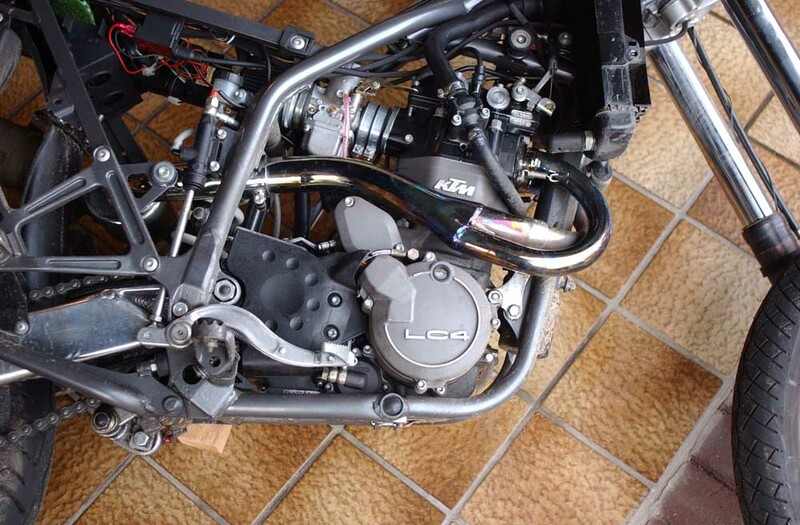 This site describes a modification to the KTM - LC4 engine (as shown below) which drastically improves rideability, low end torque, fuel consumption and overall engine behaviour. The original power output of the engine is untouched, but vibrations are significantly reduced and expected engine life increased. Through a variety of very unlikey coincidents I had attracted this KTM motorcycle. After riding around a couple of miles I felt that the engine behaviour was quite poor. With a 625cc displacement 4-stroke single-cylinder I would expect at least a bit of low-end punch, but this was non-existent. Vibration was annoying in the middle and upper revs, whereas the lower revs could not be used, so you had to switch through the gears permanently. 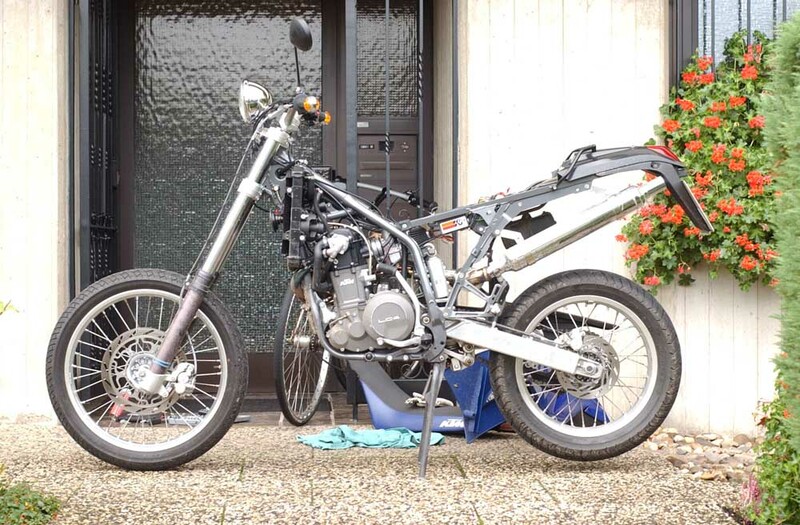 After changing the airfilter, carburetor, exhaust, ignition coil, ignition module the engine behaviour got somewhat better, but still inacceptable to my standards. Analysis revealed that the engine construction itself was flawed. There was a definite lack of flywheel inertia, which means simply not enough mass to move the engine through it's cycles. 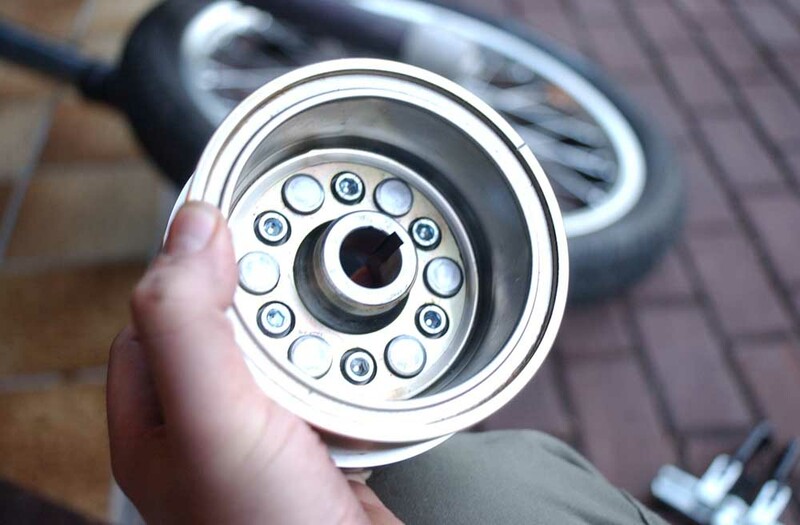 A closer inspection showed that mass could easily be added to the flywheel assembly at the cost of dismissing the electric starter. As electric starters are for girls anyway, I decided to give this mod a try and constructed a flywheel that would fit on the original Kokusan alternator GP9128 of the LC4 engine ('97 up). 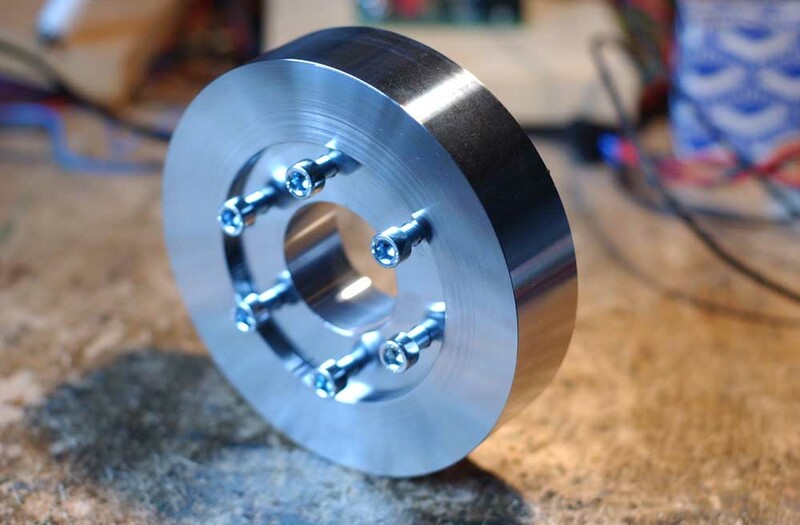 See below the CNC-precision-machined flywheel. Material is high-tensile steel. Mass is about 2.4 kg. 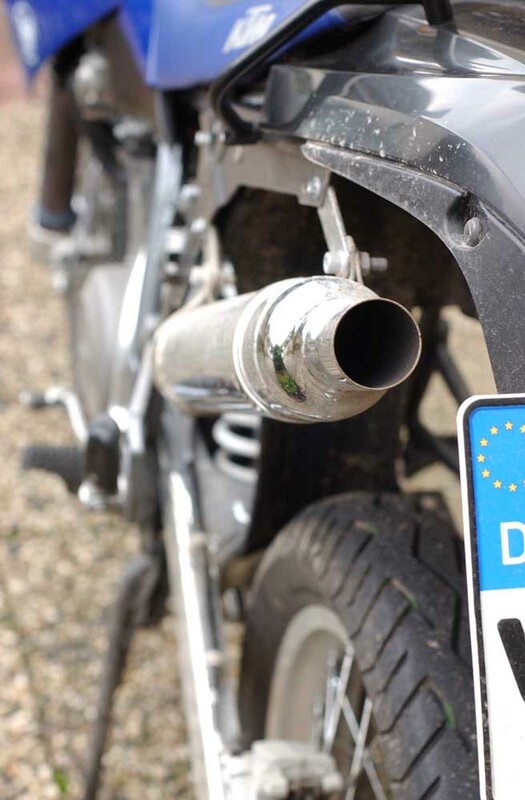 However, in total the bike will lose weigth by removing electric starer, cables, starter-clutch and gears. This modification will void the guarantee of your bike, and I do not recommend it unless you really know engines and know what you are doing. 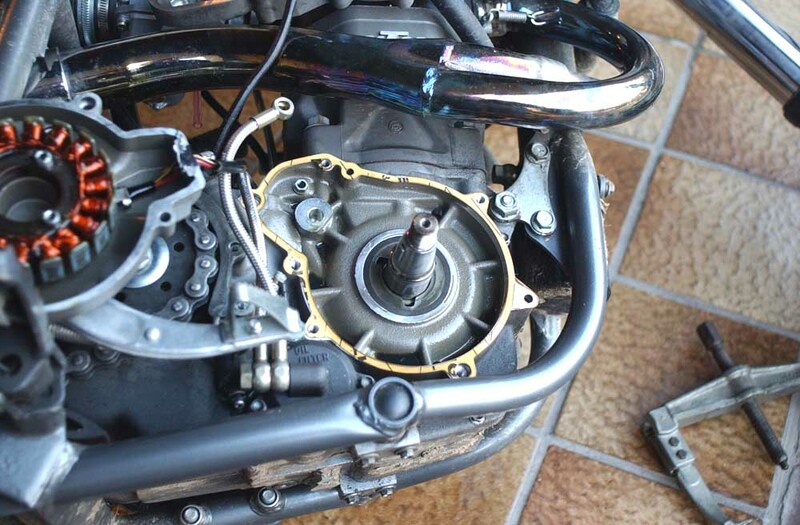 The flywheel is mounted to the alternator (Kokusan GP9128) instead of the starter-clutch. 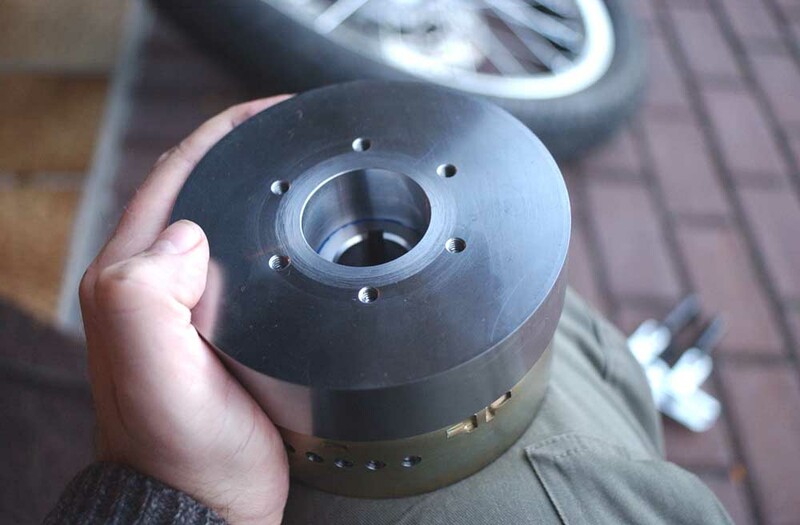 The dimensions of the flywheel are such that all available space in the LC4 engine is used. Installation is as follows: Remove seat and tank. Disconnect battery. 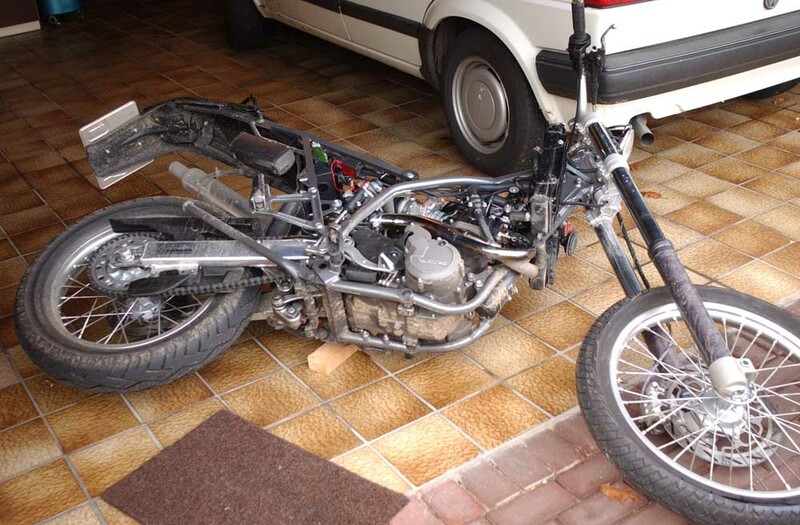 Remove electric starter and associated cables. Plug electric starter hole, with KTM's starter plug. Throw the sucker on the left side. Here's where we are going to install our flywheel. 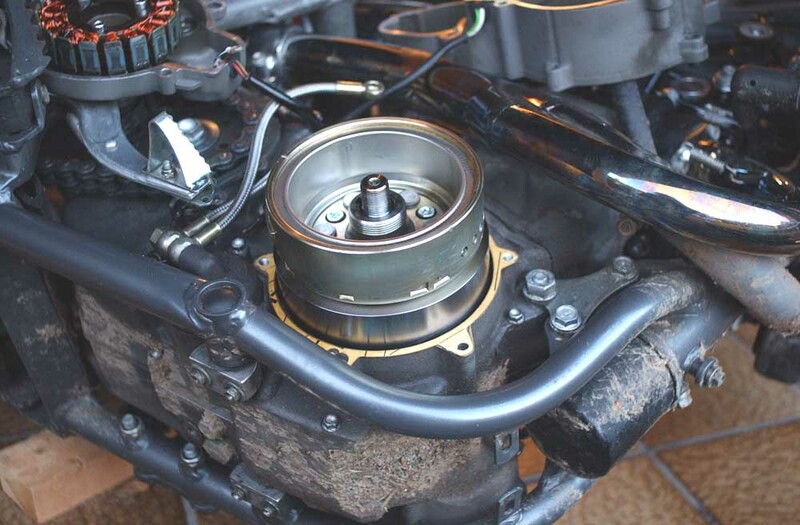 Remove alternator outer cover and unscrew alternator. It is advisable that you use the KTM holding wrench (584.29.012.000). Remove inner cover and pull out the alternator. 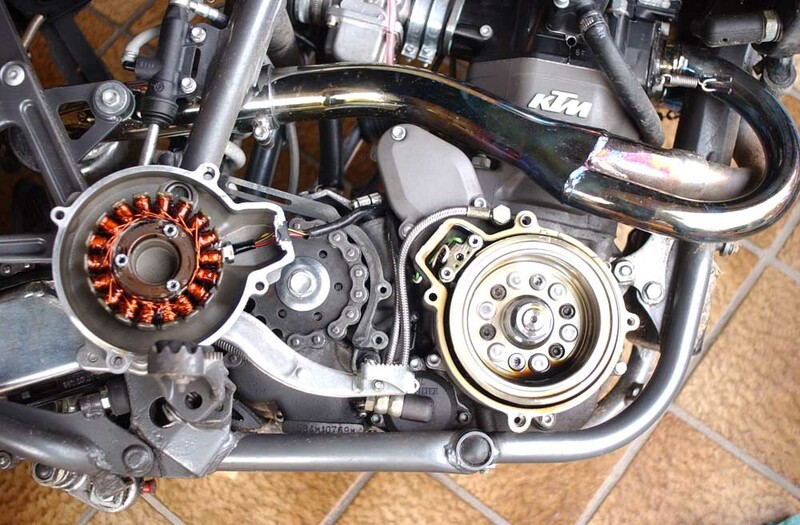 It is better to use the original KTM "magneto extractor" (584.29.009.000) as it may save you time and trouble. 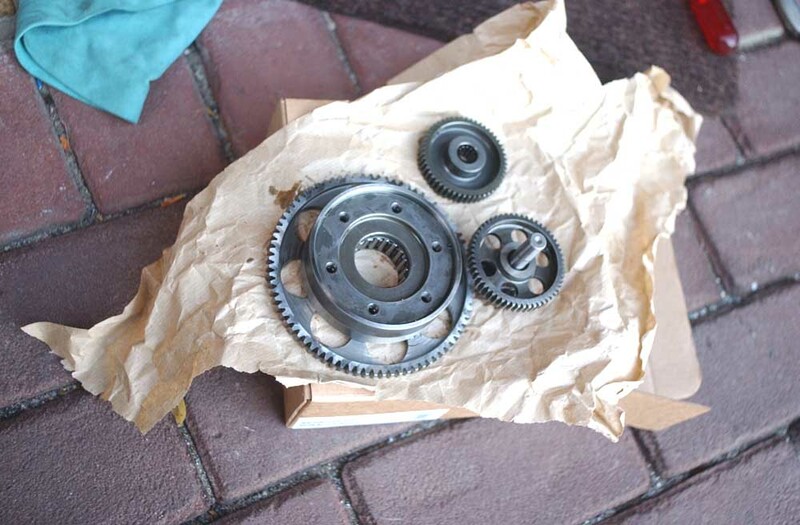 Grab out all the starter gears their bearings. We're about to fit the flywheel. Unscrew the starter clutch from the alternator and take it off. Now screw the flywheel to the alternator where the starter-clutch was before. Use Loctite or similar stuff on the threads and surface. 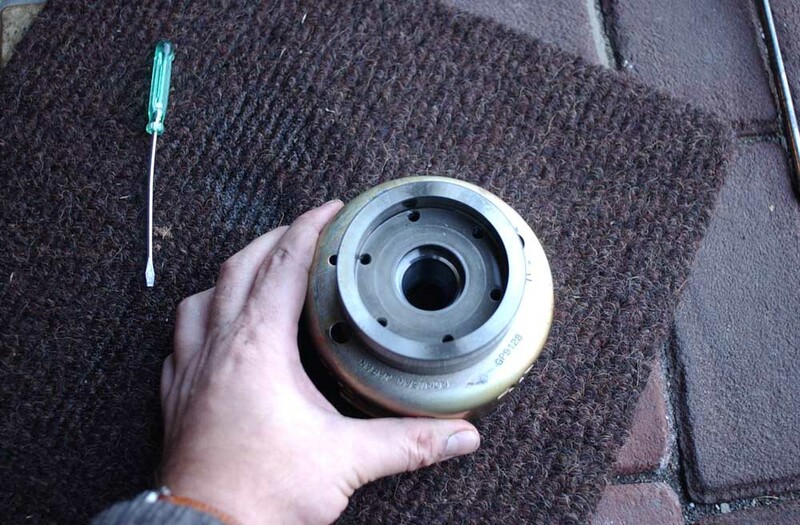 The rest is easy: Install alternator-flywheel assembly. 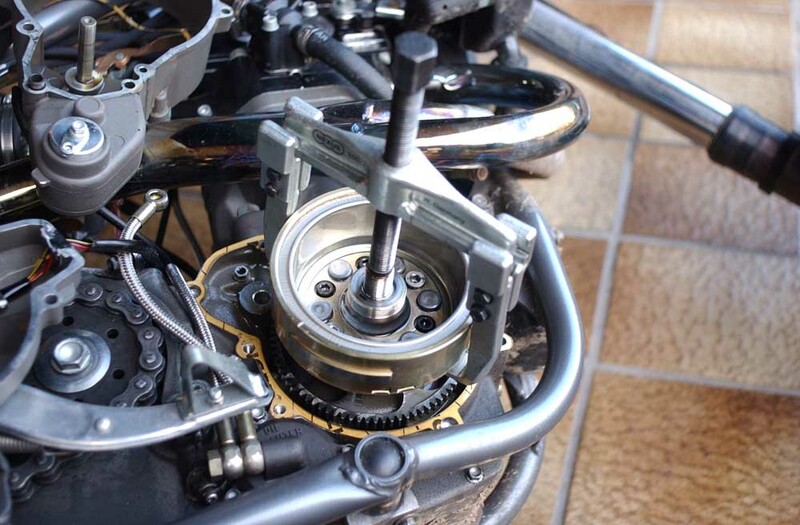 Tighten alternator-nut (use Loctite). Check for clearance when installing alternator inner cover. Some tiny amount of material may have to be filed off from the inner cover's starter gear support. This is uncritical which btw. makes the whole conversion easily reversible. After checking clearance, install alternator outer cover and oil supply hose. Now, how do I like it ? The new flywheel works wonders. 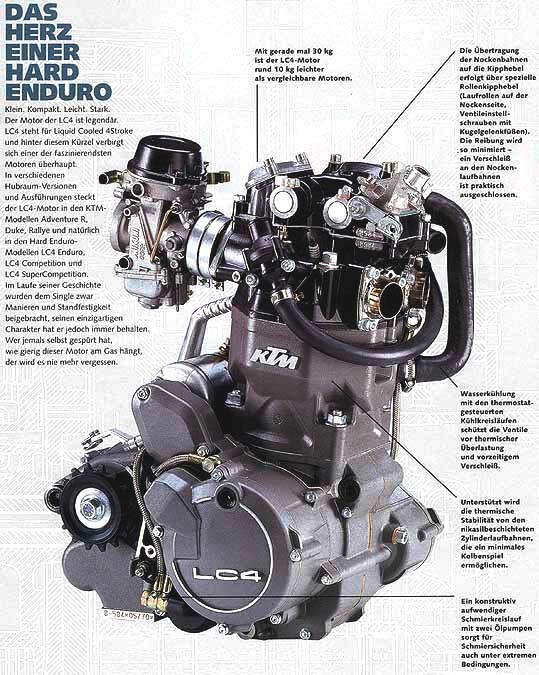 Every aspect of the engine's performance is improved. Rock solid idle. Low-end power as you would expect from a big single. Smooth engine behaviour from low through mid to upper rpms. Vibrations are significantly reduced. Starts on first kick. 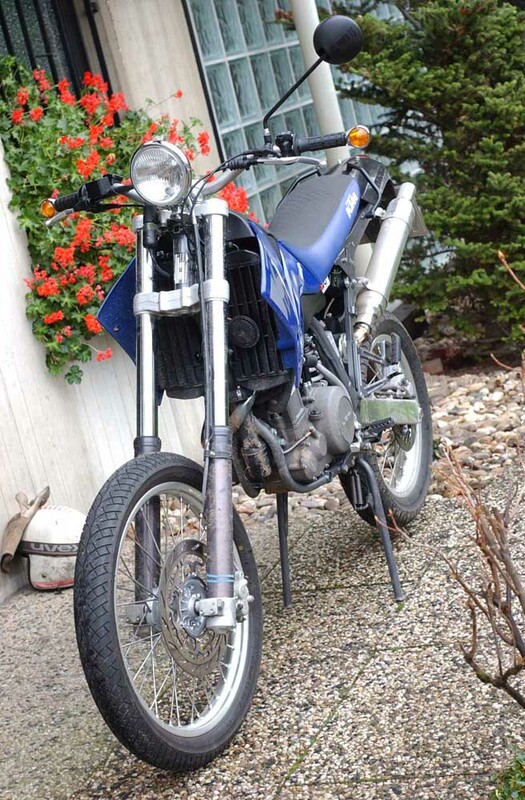 You don't have to shift gears all the time and can enjoy riding the bike without being distracted and annoyed by the engine's jerking back and forth (as in its original state). But is it still a KTM ? Some KTM riders may appreceate more nervousness in their engine behaviour, but to me this nervousness is completely unnessessary and counterproductive. It is of course a matter of taste and your comments are welcome. Click here. Feel free to make your own flywheel. Precision is required. Needless to say: This is on your own risk and responsibility. Want a ready make fly ? You may order this flywheel by email. Price is EUR 200,- plus shipping costs. 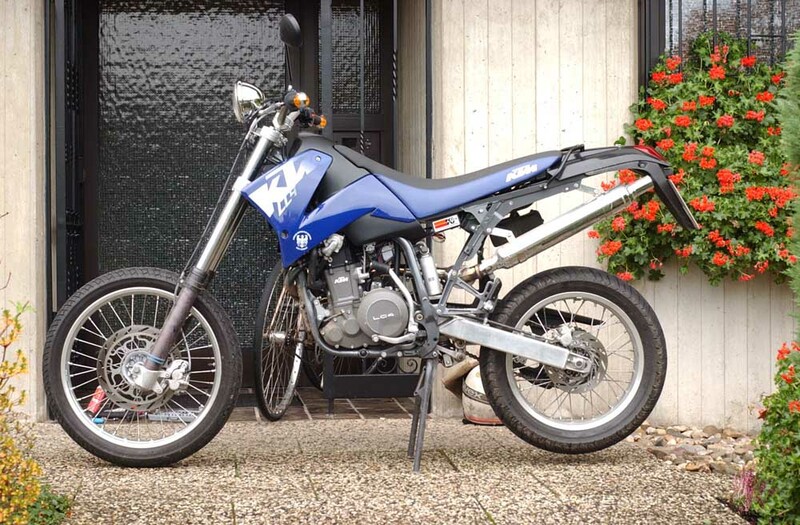 'KTM' and 'LC4' may be trademarks of the KTM motorcycle company which is in no way affiliated to AMM.